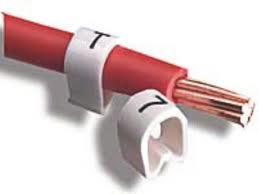 Gusseted design allows marker to fit firmly over a wide range of cable diameters. The Z-type cable marker has been designed to allow each size of marker to fit a wide range of cables. Our Cable Markers are of High Quality and Low Cost that gives you the best results every time. Can be supplied continuous on bulk spools, cut lengths or printed. For further information please contact our sales team.